Huge thanks to Blackstone Publishing for this copy! Catherine was born in Cork, Ireland, in 1982. Her debut thriller, Distress Signals, is out now in the UK and Ireland (Corvus/Atlantic) and the USA (Blackstone). An Irish Times and USA Today bestseller, it has been shortlisted for the CWA John Creasey/New Blood Dagger 2017 and the Books Are My Bag IBA Crime Novel of the Year 2016. It also won Best Mystery at the Independent Press Awards (USA) 2017. Pre-publication, Distress Signals was optioned for television by Jet Stone Media. Find out more about the book here. 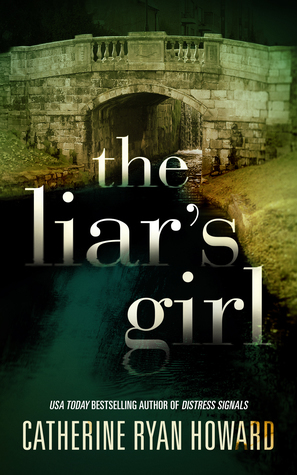 Catherine’s second thriller, The Liar’s Girl, will be released in the UK/Ireland and the USA in March 2018. Catherine started her writing career self-publishing non-fiction – two light-hearted travel memoirs, followed by the obligatory ‘how to’. 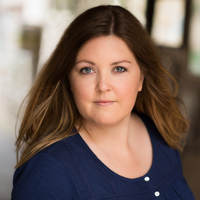 She became known for dispensing particularly pragmatic self-publishing advice, speaking on the subject for the likes of Faber Academy, the Irish Writers’ Centre, Guardian Masterclasses and others. But her goal was always to write crime fiction and to get published. Before all that, Catherine worked as an administrator for a travel company in the Netherlands, a campsite courier in France (very briefly) and a front desk agent in a Walt Disney World hotel in Orlando, Florida. For her entire adolescence she was obsessed with the idea of becoming a BSL4 virologist and she still wants to be a NASA astronaut when she grows up. She is currently studying for a BA in English Literature at Trinity College Dublin. For more, find Catherine on Twitter, Instagram and Facebook or sign up to her mailing list. You can also read a Q&A with her here.